My wife and I saw “Bright Star” yesterday. We loved it. You will too, and I’ll tell you why. On the surface, it’s a typical musical, bustling with subplots about young love, the pains and joys of family relations, and Southern gothic melodrama, all peppered with timely comic relief. But it’s really about writing, editing, and language itself. 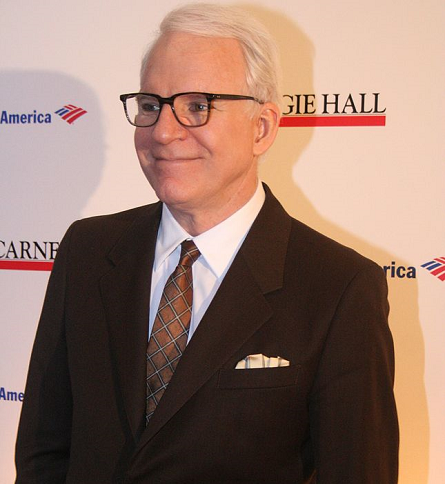 Steve Martin (yes, that Steve Martin) wrote the book, and in addition to his accomplishments as an actor, director, and musician, is a gifted writer. He knows what it’s like to be rejected, to hang in there, and finally get that first manuscript published. There are many references to the Southern writing tradition. Steve Martin, who was born in Texas, knows a thing or two about language’s ability to uplift, to wound, and to connect with others, familiar and rich themes often explored in Southern literature. This musical is a celebration of faith in one’s family, in one’s ability to persevere, and to hope. If you get the chance, don’t miss this one. It’s a winner. The lead singer’s voice and the music are haunting and well-matched. But the song hits the trifecta, because the words are at least as extraordinary as the music and the singing. They are poetry, conveying a tense pull between sorrow and stoicism, yearning and renunciation, regret and acceptance. You don’t believe me? Read the rest here. I must admit the symbolism and craftsmanship in this song escaped my notice, despite my admiration of the Left Banke. Michael Brown, a songwriter and keyboardist for the “baroque rock” band the Left Banke who co-wrote its 1966 pop hit “Walk Away Renee,” died March 19 at his home in Englewood, N.J. He was 65. The cause was a heart ailment, a family spokeswoman said. Mr. Brown was born Michael Lookofsky and grew up in Brooklyn. He was a classically trained keyboardist, and his father ran a New York music studio where the Left Banke recorded. Brown will be remembered for “Walk Away Renee,” a tearful and lovely song about a couple breaking up. But in my opinion, Brown’s most moving and magical creation was “Pretty Ballerina.” For me, this wistful, haunting melody still defines the late 60s. I can still hear it playing on the radio of my father’s 1968 Buick Skylark. It’s a sweltering summer afternoon, and I can see the girls at my high school I was too shy to approach smiling back at me. Here’s to you, Michael. Thanks for the memories. David Holt’s State of Music: 30s promo for UNC-TV from Will & Deni Films on Vimeo. David Holt has spent his life learning and performing traditional American music. It has taken him from the most remote coves of southern Appalachia to the bright lights of TV studios and the Grand Old Opry stage. In this show, David introduces viewers to modern masters of traditional music in the Southern mountains and remembers the legends who taught him. Mark your calendar for Thursday, January 29. David Holt will host this personal tour of traditional Southern folk music on public TV. This should be good! One would be difficult, but the short stories of Flannery O’Connor landed hard on me. You could feel within them the unknowability of God, the intangible mysteries of life that confounded her characters, and which I find by my side every day. They contained the dark Gothicness of my childhood and yet made me feel fortunate to sit at the center of this swirling black puzzle, stars reeling overhead, the earth barely beneath us. 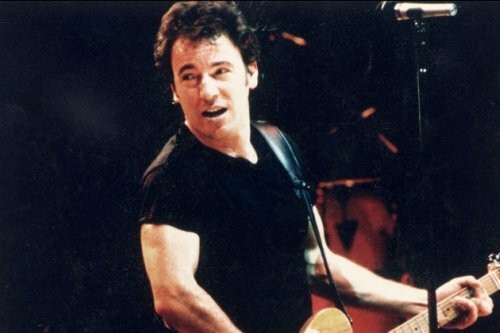 For more insight into Springsteen’s worldview, check out Sins Unatoned: The Gothic Imagination of Bruce Springsteen.